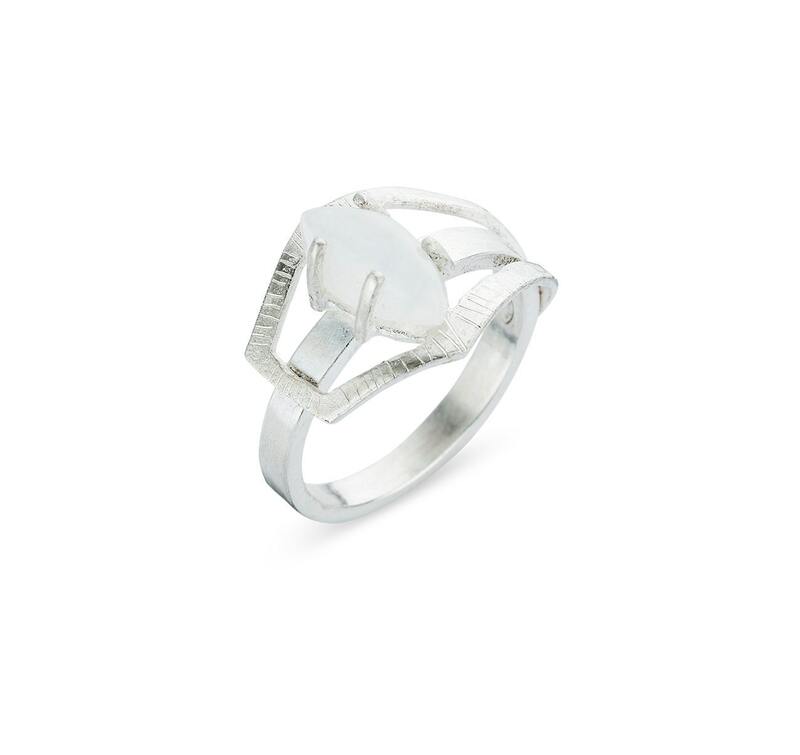 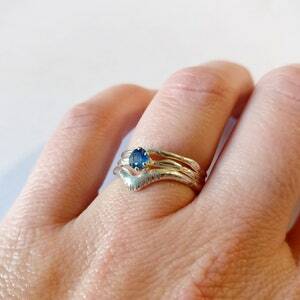 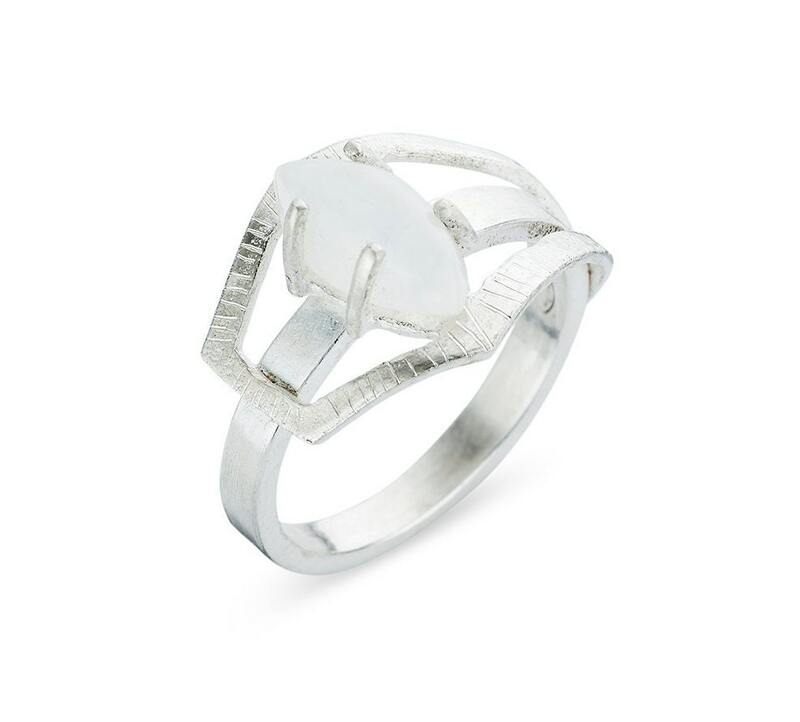 Silver 925 ring with a MOONSTONE marquis. 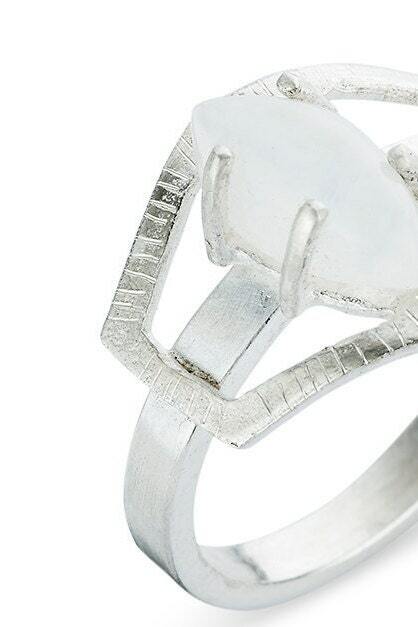 It's a combination of a silver geometrical shape with a straight ring and a stone. 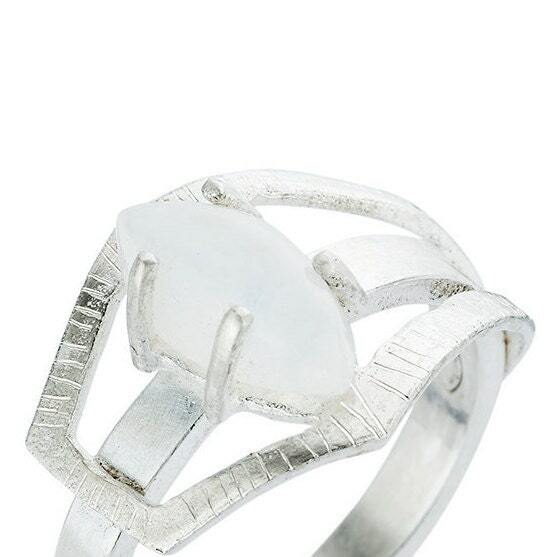 The jewel is made by the ancient lost wax technique and is signed on the inside with my master-stamp and a 925 stamp and completely made in Sterling silver. 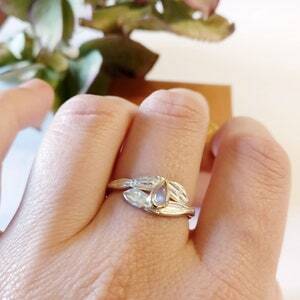 The ring is also possible in 14 or 18K gold. 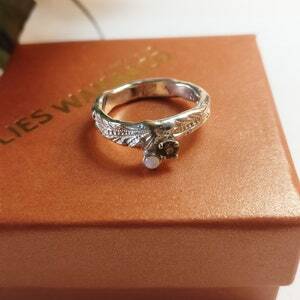 Don't hesitate to ask for prices or something custom made. 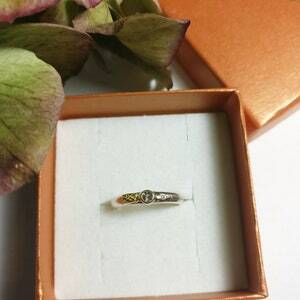 The ring comes in a nice jewel box and can be giftwrapped!